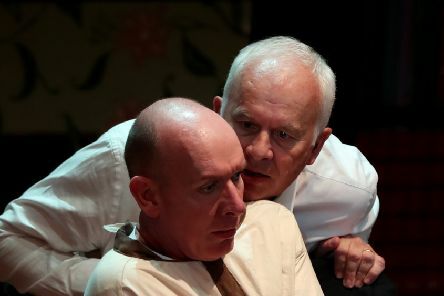 Get ready for some thrills when the play Mindgame comes to Nottingham Theatre Royal from June 11-15. 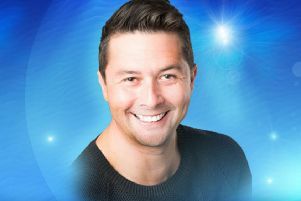 A star-studded cast has been announced for this year’s Nottingham Theatre Royal panto Cinderella, featuring Les Dennis, Connor McIntyre, Gareth Gates plus Richard Cadell and Sooty. 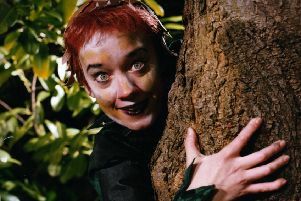 A Midsummer Night’s Dream is to be performed at Markeaton Park Craft Village, Derby, from June 11-15, as part of the ever-popular Outdoor Theatre and Cinema season. 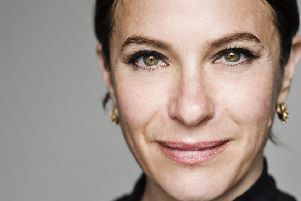 Juliet Cowan, best known for her roles in Cuckoo, Skins and EastEnders, will be taking centre stage next month at Nottingham Playhouse. 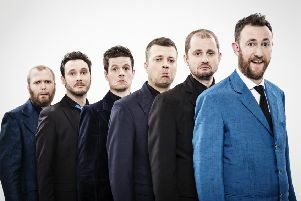 Comedy and music fans won’t want to miss Alex Horne and The Horne Section when they perform at Nottingham Playhouse on April 18 and the Ballroom at Sheffield Civic Hall on April 24. 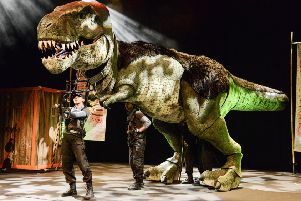 Families won’t want to miss Dinosaur World Live at Nottingham’s Royal Concert Hall on July 6-7. 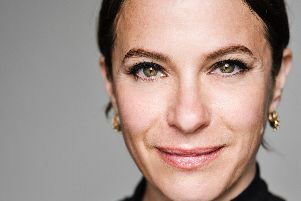 Nottingham Playhouse has announced more details about its forthcoming hilarious and heart-breaking drama The Memory of Water. 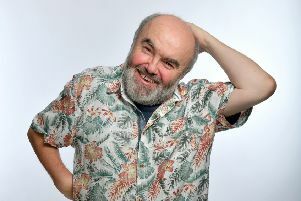 Award-winning comedian, comedy writer and director Andy Hamilton returns to the road this spring with his first ever up close and personal show, An Evening With Andy Hamilton, and heads to the Derby Theatre on Sunday, May 19. 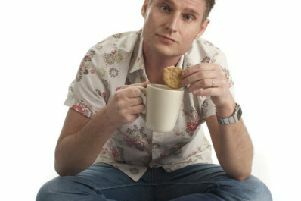 The Ben Nickless Variety Show is coming to Nottingham Theatre Royal on September 8. Tickets go on general sale on Friday, March 8, to see Gloria and Emilio Estefan’s smash-hit musical On Your Feet! 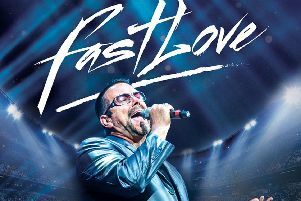 at Theatre Royal Nottingham from September 16-21. 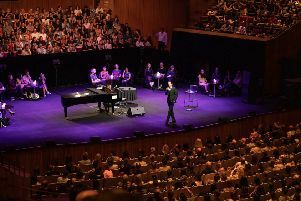 Tickets are on sale now for Conservations With Nick Cave, an evening of talk and music taking place at Nottingham’s Royal Concert Hall on June 25. Russell Kane will be in stand-up action at the Theatre Royal Nottingham on November 10. 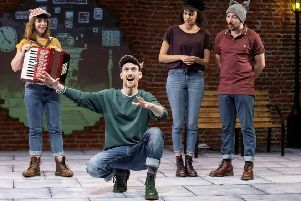 Tabby McTat will be a theatrical treat for families when it comes to Nottingham Royal Concert Hall on August 14-15. Ring out the dreary winter weather and ring in a sun-soaked break. 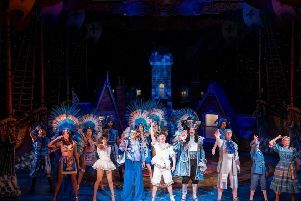 Mix high-flying action, jaw-dropping 3D fun and brilliant performances from stars Joe Paquale and John ‘Boycie’ Challis with the classic elements of pantomime and you have the recipe for success that makes Peter Pan at Nottingham Theatre Royal a total triumph. 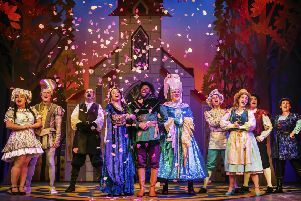 The festive juices can’t really start flowing in my view until you’ve taken in a pantomime — and one of the best around is always staged at Nottingham Playhouse. 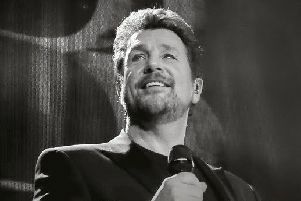 Multi-platinum recording artist Michael Ball will be singing in Nottingham, Sheffield and Manchester on his UK tour next year. Catch rising conedy star Scott Bennett when he headlines a show in Chesterfield next week. 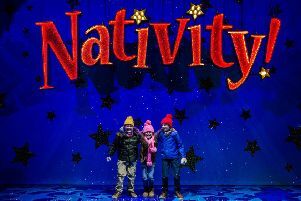 I defy anyone to leave the theatre after watching Nativity The Musical without a smile resembling a Cheshire cat and an aching jaw from all the laughter.